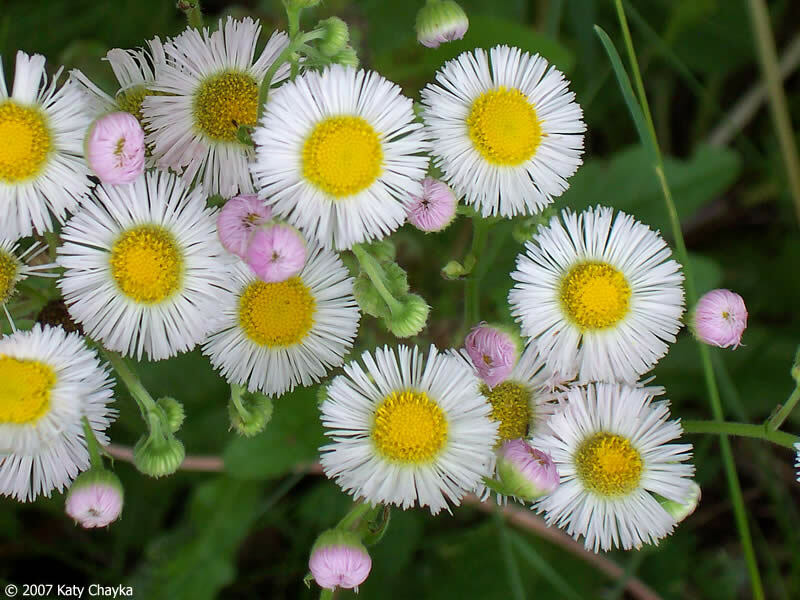 Erigeron philadelphicus.By Steven Baskauf. 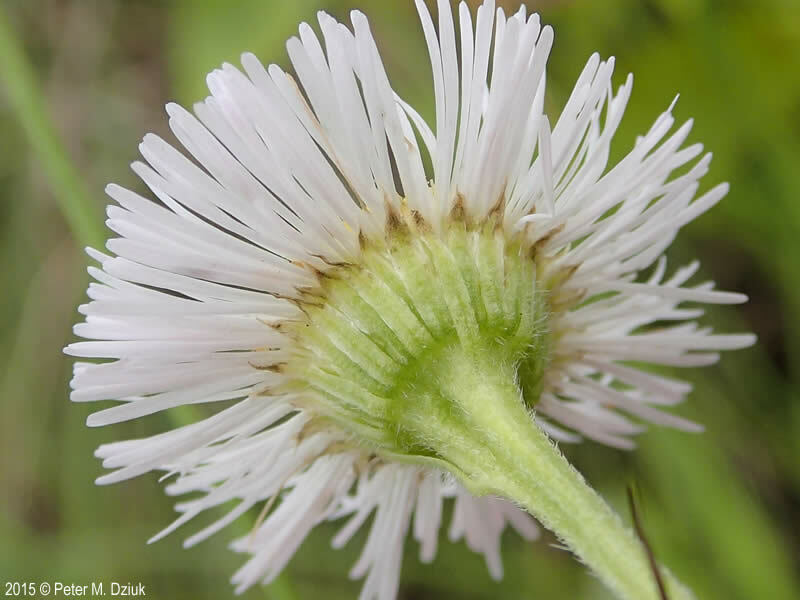 Copyright © 2015 CC-BY-NC-SA-www.cas.vanderbilt.edu:bioimages:frame.New England Wild Flower Society.gobotany.newenglandwild.org (Accessed 2/2015). 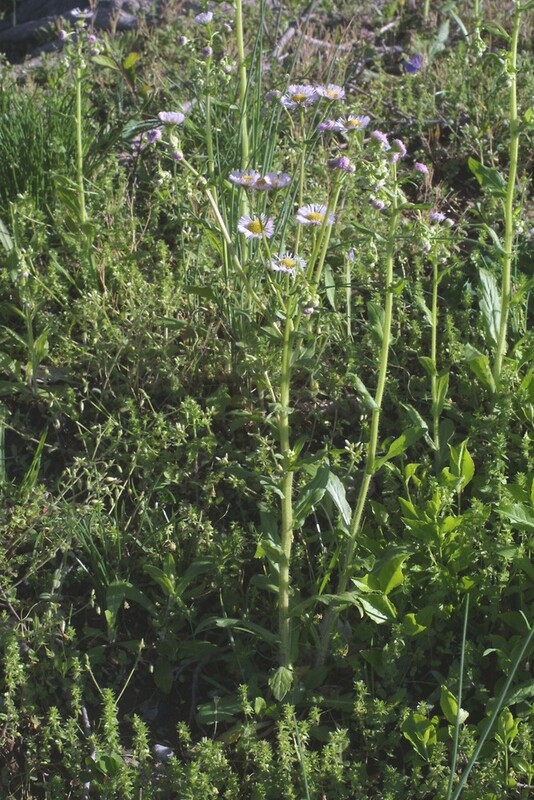 Erigeron philadelphicus is a biennial to short-lived perennial herb, 20-80 cm tall, stems hairy, soft, branched only in inflorescence; from fleshy, fibrous roots, appears to sprout from root crown occasionally (Gargiullo personal observation). 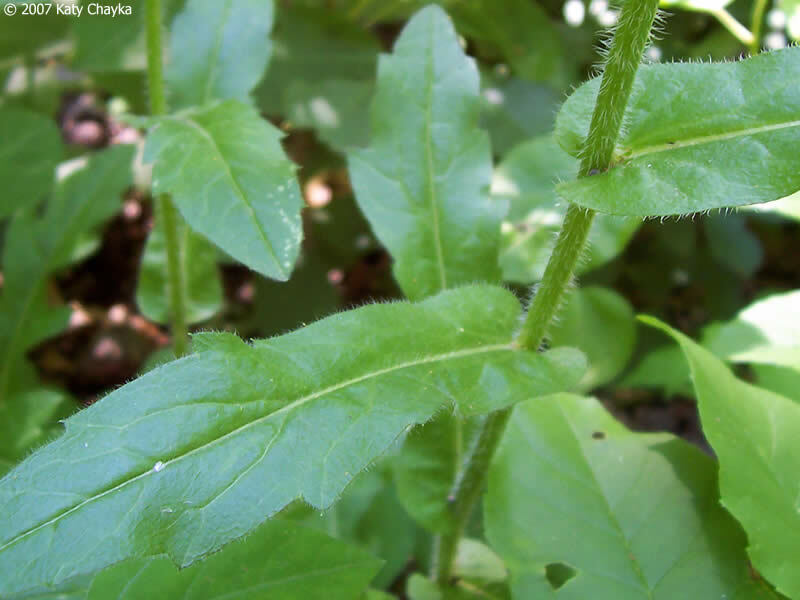 Erigeron philadelphicus leaves. © 2007 Katy Chayka. Minnesota Wildflowers. minnesotawildflowers.info (Accessed 5/2018). Erigeron philadelphicus winter rosette. Copyright © 1998-2018 • Site by Jeff D. Hansen. kansasnativeplants.com (Accessed 8/2018). Leaves alternate, those of basal rosette and lower stem narrow, 1.5–15 cm long, 1–4 cm wide (Flora of North America 1993+), smaller upwards, margins shallowly blunt-toothed to pinnately lobed, widest above middle, hairy, tip rounded, stem leaves sessile to clasping, blunt-lobed at base, margin coarsely toothed to shallowly lobed especially above middle, hairy on both sides; leaves of basal rosette and lower stem dying as inflorescence develops. Erigeron philadelphicus flower heads. © 2007 Katy Chayka. Minnesota Wildflowers. 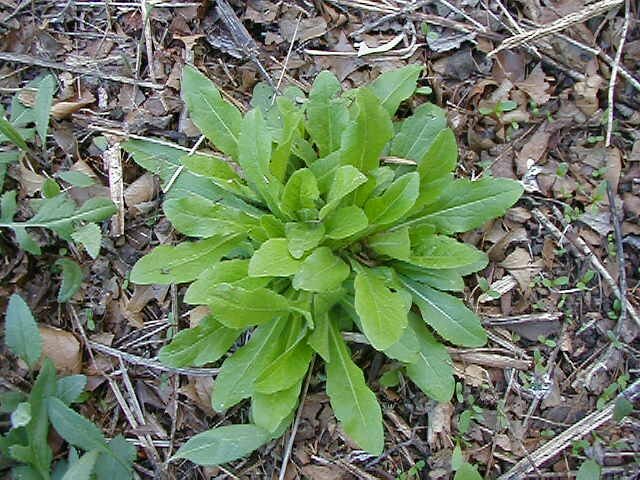 minnesotawildflowers.info (Accessed 5/2018). Erigeron philadelphicus flower-head back. 2015 © Peter M. Dziuk. Minnesota Wildflowers. minnesotawildflowers.info (Accessed 5/2018). Flowers in radiate heads, rays pink-white, 150-400, linear, 0.5-1.0 cm long, 0.05 cm wide, disk flowers yellow, 0.2-0.3 cm long, disk 0.6-1.5 cm wide, basal bracts of floral head hairy 0.4-0.6 cm long; blooms and fruits March-Sept.; pollinated by insects. Fruit dry, 1-seeded achene, ca 0.1 cm long, 2-ridged, with a plume of 20-30 bristles (Flora of North America 1993+) ; seeds wind dispersed. Habitat: Open areas, roadsides, meadows, fill. Soil pH 4.8-7.8, tolerant of partial shade (USDA, NRCS 2006). Notes: An early successional plant probably requiring open soil (Keever 1979). Seed germination in late summer to early autumn, overwintering as rosettes (Kenny 1996; Keever 1979).